The demand graph of the global malt beverages market has been escalating on account of the growing consumption of beverages and shakes across several regions. Malt beverages refer to fermented drinks that consist of the seeds of barley plants, and these drinks are believed to serve commendable nutritional benefits to individuals. The manufacture of malt beverages is gradually picking up pace as a large number of vendors for these products come to the fore of the market. It is projected that the awareness about the health benefits of malt beverages amongst the masses would create commendable growth opportunities within malt beverages market. During the process of malt beverage manufacturing, dried powder is made out of the cereals that germinate as a result of boiling and drying, and this process helps in retaining the health value of the final product. The dried powder in the aforementioned process is known as malt, and is a rich source of protein, minerals, fibers, and vitamins. Owing to the aforementioned factors, the demand within the global malt beverages market is projected to touch new heights in the years to follow. The global malt beverages market may be segmented on the basis of the following parameters: product type, application, and region. These segments collectively offer a deft understanding of the forces prevailing in the global market for malt beverages. 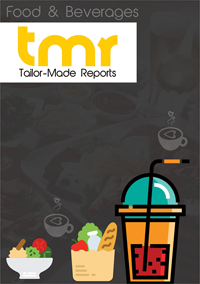 A report on the global malt beverages market is an explanatory account of the trends, dynamics, and forces pertaining to the global market for malt beverages. The report throws light on the most nascent growth opportunities that have housed in the global market for malt beverages in recent times. The demand within the global malt beverages market has been rising on account of the high nutritional value of these beverages. The need for protein intake in sportspersons and fitness enthusiast has reeked of growth within the global market for malt beverages in recent times. Moreover, the high fibers content of malt beverages helps in muscle recovery, and these beverages can be consumed by people suffering from illnesses or njuries. It is expected that the growth trajectory of the global market for malt beverages would continue to ascend as retail outlets place various types of malt beverages on their shelves. Flavoured as well as unflavoured malt beverages are available in the global malt beverages market, and the latter is more popular amongst the masses. Malt beverages are also consumed with regular food in order to enhance the overall appeal and taste of the meal which also contributes towards market growth. Peach, pineapple, strawberry, lemon, and apple are some of the most popular flavours of malt beverages. The demand within the malt beverages market in North America has been rising on account of the growing popularity of flavoured drinks in the US and Canada. Furthermore, malt beverages have replaced alcoholic drinks for several individuals in these countries, and this has also driven regional market demand. Some of the key players in the global malt beverages market are Ceres Brewery Malt Beverages, Guinness Nigeria Malt Beverages, Coors Brewing Company Malt Beverages, and Suntory International Co.